I thought I was the only one with a major sweet tooth. Apparently, being a deejay and having a sweet tooth goes hand in hand. Chocolate donut + a tall glass of milk + a high quality mix = the finer things in life. To be honest, I wanted to do two things this month: play some hip-hop, and use these really funny voicemail messages I found while digging through old samples and sound files. I was able to do both, to a certain degree - I could have played more records, and I could have played more messages, but I think what came out is a decent little tape, a couple treats to vibe out to in your headphones, something a little more rugged for the hoodies-and-jeans fall weather. These are a few records that remind me of hitting classic vinyl spots ten years ago while flipping a Rob Swift mixtape over in the walkman. Hmm..that might have been a bit more than ten years ago. Much like the dozen donuts on the cover, I tried to drop a variety of joints here, from Chicago and Seattle, Philly to the UK. First is a vintage DJ Spinna instrumental, I just love how his beats were so creative, hit you so hard with the bass lines and filters - you always knew it was Spinna. Found this the other week at The Thing, the b-side has a joint from Buckwild. Next up is High and Mighty's "The Meaning," which might end up being my favorite twelve-inch by them. 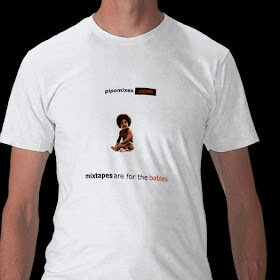 Bought this at Fat Beats when it dropped, back in 97 I think. Then you got an off-kilter Daedelus instrumental, and some People Under the Stairs, before some super-underground Roots white label heat. (Did this ever come out officially?) I'm sure by now you can tell the vibe I'm on here...next is one of my favorite Mumbles beats, followed by the slept-on All Natural record "Ill Advisory" featuring Juice, discussing why you don't want to mess with Chicago emcees, years before Kanye. Then just to flip it up, I dropped some UK material - Lewis Parker's "101 Pianos," with some Herbaliser basslines and What What rhymes. 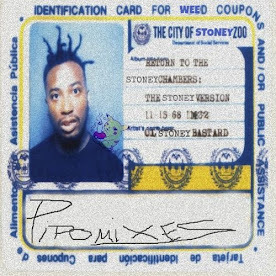 But possibly my favorite record on this mix is "Official Members," a serious classic Emerald City piece from the "14 Fathoms Deep" compilation by Mad Fanatic ft. Rag Chyld. The concluding record is an instrumental from Madlib's underrated cousin, Kankick. Last thing I want to say, in regards to the two messages on the tape, is big shouts out to Gabe and Sara for trying to hook up a donut fiend. I had totally forgotten this happening - good looking out! 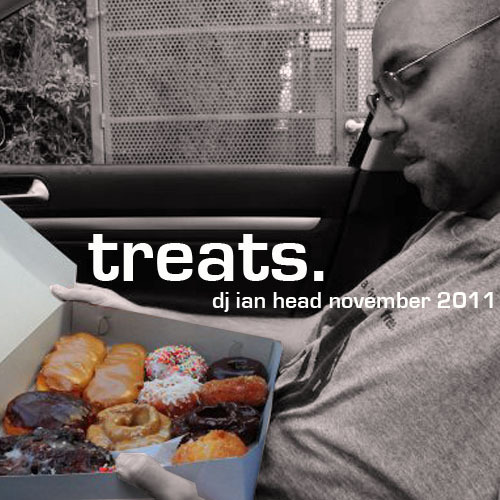 And shouts to Ani for the cover photo - the best donuts reside out west.